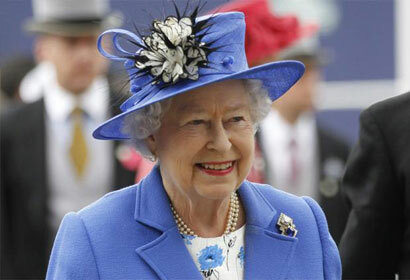 LONDON — Britain’s Queen Elizabeth II on Monday will sign a charter calling for an end to discrimination across the 54 Commonwealth nations, according to a statement by Buckingham Palace. The words “other grounds” are said to refer to sexual orientation, however specific references to gay people are not included to avoid antagonizing Commonwealth countries that retain laws against homosexuals, according to the Daily Mail. Insiders said the decision to highlight the event is a “watershed” moment because it is the first time she has signaled her support for gay rights in her 61-year reign, the paper claimed. The document includes affirmations on democracy, human rights, international peace and security as well as freedom of expression. It also contains a commitment to “gender equality” and “women’s empowerment”. Gay rights campaigner Peter Tatchell praised the accord, despite there being no explicit provisions against the discrimination of homosexuals, reported AFP. “By signing the new Commonwealth Charter, with its rejection of all discrimination, the Queen is implicitly endorsing gay human rights,” he said. “Although the charter does not include an explicit commitment to gay equality, the clause rejecting discrimination based on ‘other grounds’ implicitly includes a rejection of homophobic discrimination,” said Tatchell.